Binge Read in 7 Days! In 7 DAYS you can binge read the first 5 Moonbound books! and she's sexier and more dangerous than this sheriff can handle. 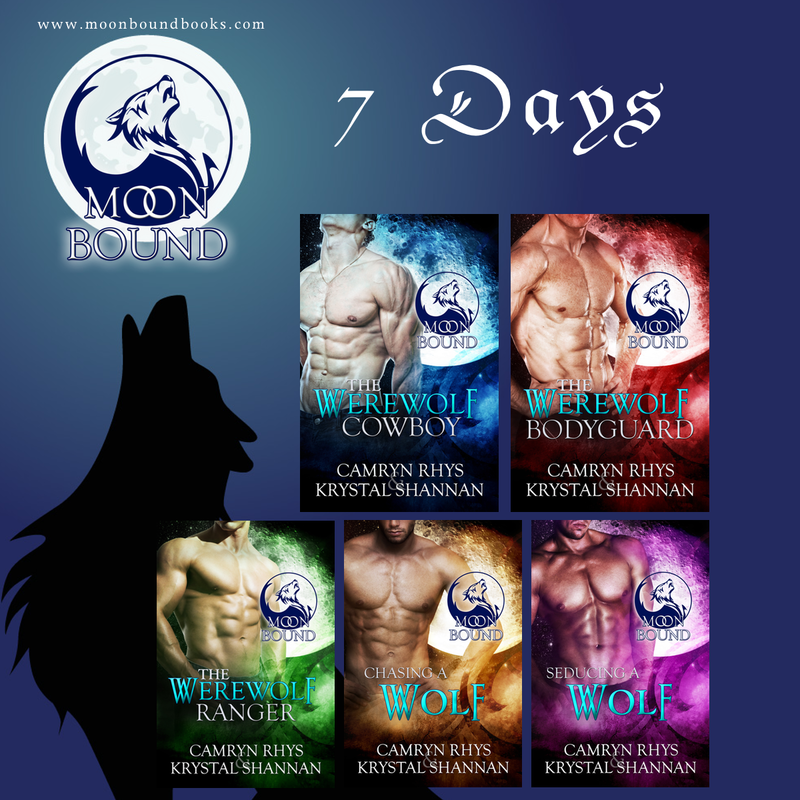 The Werewolf Bodyguard is #2 in the Moonbound Series, meant to be read in order, and a spinoff of the VonBrandt Wolves from Somewhere, TX. Unbonded wolves are unsafe–something Rainer “Rain” DuBois knows all too well. As a former leader of the Black Wolf Rangers, it's his job to find them, protecting packs from all over the country. With a mission to lead a team of enforcers into the heart of Mexico to face off against a madman, nothing can derail him from his goal. The Werewolf Ranger is #3 in the Moonbound Series, meant to be read in order, and a spinoff of the VonBrandt Wolves from Somewhere, TX. Chasing a Wolf is #4 in the Moonbound Series, meant to be read in order, and a spinoff of the VonBrandt Wolves from Somewhere, TX.